The list of materials below, including books, videos and other resources, are available through public libraries across Nova Scotia. Please consult your local public library for further resources that are available. An exploration of Mi'kmaw world view as expressed in language, legends, song and dance. The Mi'kmaq anthology / editors, Rita Joe and Lesley Choyce. Porters Lake, N.S. : Pottersfield Press, 1997. A varied and spiritual collection of work by the Mi'kmaq writers of Atlantic Canada, includes short stories, poetry, and personal essays. Living treaties: narrating Mi'kmaw treaty relations / Marie Battiste, editor. Nimbus, 2016. Aims to reveal another side of the treaties and their histories, focusing on stories from contemporary perspectives, both Mi'kmaw and their non-Mi'kmaw allies. Song of Rita Joe: autobiography of a Mi'kmaq poet / Rita Joe; with the assistance of Lynn Henry. Charlottetown, P.E.I. : Ragweed Press, c1996. Rita Joe is one of the best-known native writers. Born in Nova Scotia, where she lived on the Eskasoni Reserve in Cape Breton. My Mi'kmaq mother Nkij / Julie Pellissier-Lush. 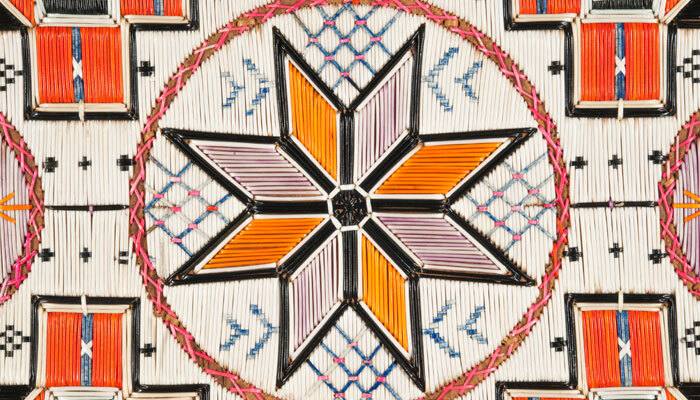 Provides information on the Mi'kmaq Indians with a focus on their homes, communities, clothing, food, religion, and more. Introduces the traditional way of life of the Mi'kmaq. L'nuk: the Mi'kmaq of Atlantic Canada / Theresa Meuse-Dallien. Nimbus 2016. Traces the incredible lineage of today’s Mi’kmaq people, sharing the fascinating details behind their customs, traditions, and history. Niniskamijinaqik = Ancestral images: the Mi'kmaq in art and photography / Ruth Holmes Whitehead. Halifax, Nova Scotia: Nimbus Publishing, 2015. Provides a glimpse into the lives of the Mi'kmaq of Atlantic Canada. The sharing circle: stories about First Nations culture / text, Theresa Meuse-Dallien ; illustrations, Arthur Stevens. Includes seven children's stories about First Nations culture and spirituality practices, explores First Nations cultural practices and teach children about Mi'kmaq beliefs and heritage. Loon Rock = Pkwimu Wkuntem / Maxine Trottier; illustrated by Dozay Christmas; translated by Helen Sylliboy. The story of a loon and a young Mi'kmaq boy written in English and Mi'kmaq. Muin and the seven bird hunters: a Mi'kmaw night sky story / Lillian Marshall ... [et al. ]; illustrations by Kristy Read and Sana Kavanagh. Sydney, N.S. : Cape Breton University Press, 2010. A very old Mi’kmaw legend, the story of Muin and the Seven Bird Hunters move around Tatapn, the North Star. The Thundermaker / written and illustrated by Alan Syliboy. Halifax, NS: Nimbus Pulishing, 2015. Stories from the Six Worlds: Mi'kmaw legends / Ruth Holmes Whitehead. Halifax, N.S. : Nimbus, c2013. A collection of twenty-nine stories. Six Mi’kmaq stories / retold by Ruth Holmes Whitehead, illustrated by Harold McGee. Halifax, N.S. : Nova Scotia Museum, 1989. Stories that offer a rare and valuable insight into the powerful relationship between the Mi'kmaq and the often-surprising world in which they lived. Red earth: tales of the Mi'kmaq: with an introduction to the customs and beliefs of the Mi'kmaq / by Marion Robertson. Halifax, N.S. : Nova Scotia Museum, c1969. Provides insight into the customs and beliefs of the Mi'kmaq through traditional tales. The talking dictionary project is developing a 6000+ word Internet resource for the Mi'gmaq/Mi'kmaq language. Treaty Day, (October 1st) marks the beginning of Mi'kmaq History Month in Nova Scotia, its purpose is to promote public awareness about the Mi'kmaw culture and heritage for all citizens of Nova Scotia.